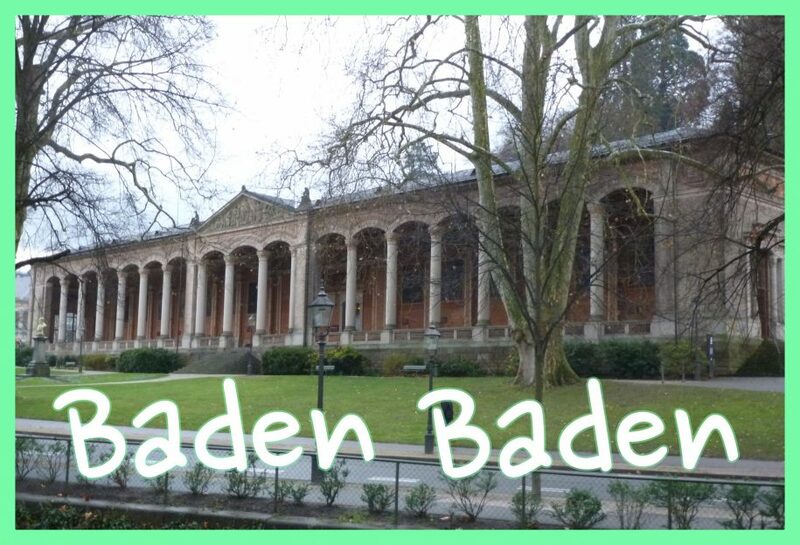 Have you ever changed trains in Baden Baden (in Baden-Württemberg between Freiburg (Breisgau) and Karlsruhe)? I guess not. It’s a pretty unlikely place to have to hop off a TGV and onto a ICE, but that’s what I had to do there today – because of yet another quirk of EU cross border rail. I am on a (Bourg-Saint-Maurice -) Lyon Part Dieu – Hannover (- Berlin) rail trip, and DB’s Reiseauskunft suggested I change in Baden Baden. I was on TGV 9582 – a Marseille – Lyon – Frankfurt (Main) service that gets to Baden Baden at 1422, leaves Baden Baden at 1425 and arrives Frankfurt at 1558. DB’s ICE 72 leaves Baden Baden at 1434 and arrives Frankfurt at 1553 – 14 minutes faster. That’s because DB holds the TGV in Karlsruhe Hbf for 8 minutes to let the ICE overtake. The route, and all interim stops, are precisely identical. Now why could this be, I wonder? The TGV is a 320km/h capable Euroduplex, manufactured in 2013. It has a total power output of 9280kW, and has two power cars and eight unpowered carriages. The ICE is a early 1990s 250km/h ICE1, with two power cars and twelve unpowered intermediate cars, and a total power output of 9600kW. So I am pretty sure the slower timetable is not thanks to the performance of the train. 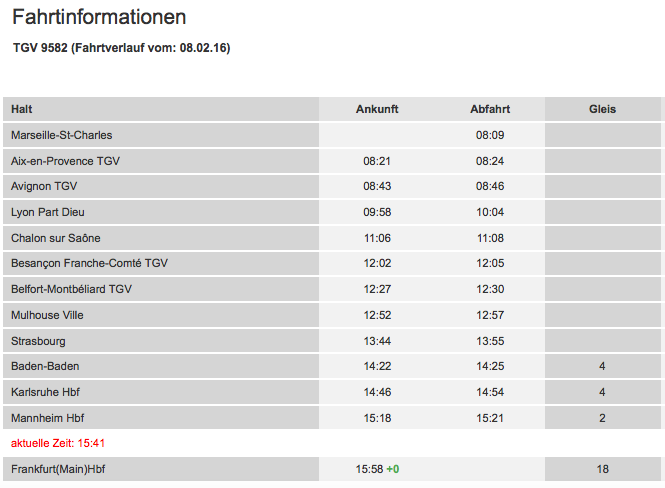 Indeed the 8 minute wait in Karlsruhe seems to be the main issue. So something else is at stake here. Could it, I wonder, be the allocation of paths to different operators? DB Netz would sooner prioritise its own ICE over the SNCF-operated* TGV, ensuring any Baden Baden, Karlsruhe or Mannheim to Frankfurt passengers take the ICE rather than its rival’s TGV? It’s not as if behaviour like this unknown – DB Netz does similar to Thalys between Essen and Köln, and DB is allegedly using blocking tactics to prevent a rival operating between Niebüll and Sylt. SNCF could, I suppose, take DB Netz to court, but then SNCF has itself done the same to DB in the past – by killing DB’s Berlin-Paris night train through track access charges for example, and both DB and SNCF do not want a war between them as, well, that’d be a bit like competition for either of their liking. Is there any real way of knowing, Violeta, whether the 4th Railway Package is going to help solve this? Because there will still be no proper EU rail regulator to allocate capacity. In the future, as now, passengers on cross border routes will lose out as national incumbents use whatever means they can to protect their national positions. Oh, and Violeta, that TGV I was on was the only daily service between France and Germany that uses EU funded high speed infrastructure. That sorry story is explained here. Until next time – safe travels! Isn’t the idea that TGV counts as a ‘Deutsche Bahn train’ in Germany and that ICE counts as an ‘SNCF train’ in France, i.e. that DB receives all ticket income + pays all expenses for the German portion while SNCF receives all ticket income + pays all expenses for the French portion? I think that’s the way DB and DSB co-operate, at least. Note that any DB ticket which is valid on ICE in Germany also is valid on TGV in Germany, and any ticket which is valid on TGV in France is also valid on ICE in France (but a seat reservation is still needed in France). That way, it would not seem to make any sense for DB to give priority to one train over the other for ticket income reasons, but there may be other reasons. For example, the train to Hamburg might need to get past Frankfurt early as the tracks north of Frankfurt need to be used by another train. I don’t buy the conspiracy theory here at all, as the trains are operated by DB and SNCF in partnership, in other words under the classic cooperation model. With a DB ICE FlexPreis ticket you can hop on any train between Baden Baden, Karlsruhe and Frankfurt, including the Marseille TGVs. And we are talking about 5 minutes or so. It’s not comparable with the Thalys nonsense or the blatant anti-competitive behaviour of DB on the Sylt route. In this case the domestic ICE has – almost by definition – a fast Takt-Trasse, whereas the non-standard pattern train from France is – by definition – more awkward to path around the regular-interval trains. 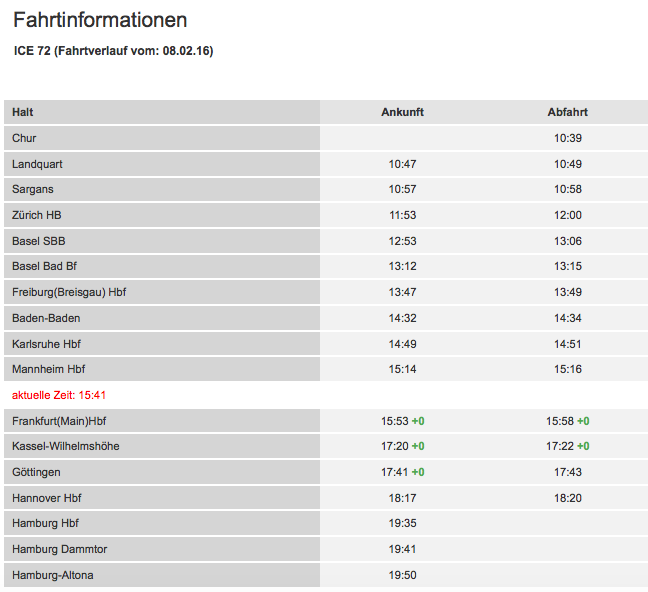 It might be the case that there is no good, fast path for the ex-Paris train from Karlsruhe. It’s certainly a well-used bit of railway. Whilst I share your suspicions, I do know that there are some technical issues that may partly explain DB’s decisions. The Thalys PBKA trains, despite being designed for use in Germany, have greatly reduced ( more than 50%!) power output on German lines because the electrical supply is both a lower voltage and a lower frequency. This problem may affect other TGV-derived trains, though it’s not clear to me whether this is the case for the train you used. Yes, I am aware of that with the Thalys trains (and this means they are limited to 200km/h in Germany). But the TGV Euroduplex sets are more modern and can do 230km/h (at least) in Germany – that’s the regular maximum line speed between Frankfurt (Main) and Basel, and I can confirm that 230km/h has appeared on the screens on board telling passengers of the speed. So I think that’s not the issue here.